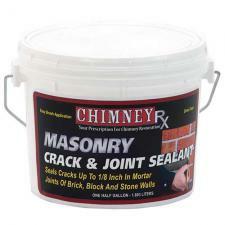 Chimney RX Masonry Crack and Joint Sealent is used for sealing small cracks and defects in otherwise structurally sound masonry. It seals cracks up to 1/8" in mortar joints. Available in pint container.